March 19, 2019, marked a new era in the history of independent Kazakhstan. At 7 pm, on national TV channels, the first President of the Republic of Kazakhstan Nursultan Nazarbayev announced his resignation. Voicing the decision of resignation, Nazarbayev said that he remains head of the Security Council of Kazakhstan, member of the Сonstitutional Council of Kazakhstan, Chairman of the Nur-Otan party and the Assembly of people of Kazakhstan, and also received the status of Elbasy — the Leader of the nation. According to the continuity of power in the country, he said, in case of early termination of the powers of the current President, his powers pass to the Chairman of the Senate before the end of the election term. 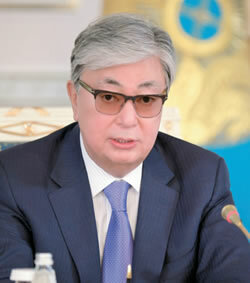 The next day, the Speaker of the Senate Kassym-Jomart Tokayev took the oath as President. Dariga Nazarbayeva was elected the new Chairman of the Senate. 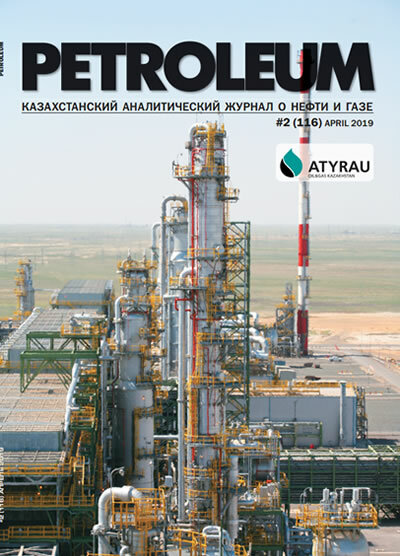 The political scientist, founder and author of the most popular political Telegram channel Kaliyev Channel, the Candidate of Political Sciences, Talgat KALIYEV gives his forecast for Petroleum Journal about what all this means and who will be the key players in the near future. Transit is not complete. It just started. Its duration depends on the plan and mood of its author and the main character – Nursultan Nazarbayev, and the behavior of key actors and some subjective factors. Figures. It becomes apparent that the process involves official head of state Kassym-Jomart Tokayev, Dariga Nazarbayeva, who became the second person in the state, the Chairman of the National Security Committee Karim Massimov, who received the rank of General on the eve of the change of the Supreme Commander, Askar Mamin, who was assigned the Prime Minister directly ahead of the transit. No noticeable attention was paid to the person of Nurlan Nigmatulin during this period, which intuitively takes him out of a circle of managers of the transit and key shareholders of the power. However, this circumstance does not deprive him of subjectivity and does not exclude him from the list of political actors. But more on that later. The role and functionality of each of the characters is not balanced. Moreover, in these circumstances, it is inevitable to develop natural competition between the participants of the process, due to the desire of each to ensure living space and the onset of more active partners. This is the first and most typical factor that pursues collective power structures and most often leads to their destruction. Moreover, the actors are united not by voluntary will, but selected by the Supreme judge in the person of Nursultan Nazarbayev, who passed to the status of the Leader of the nation. This is the first risk of the design. Judging by the chosen scenario of the transfer of Supreme power, it is incomplete and provides for the variability of critical parameters and further algorithm – from technical issues related to calendar and procedural subtleties, to conceptual, affecting the fate of the direct participants in the process. This makes it possible to predict the deployment of conflicts within the system in the short term, the purpose of which will be the displacement of individual participants with the subsequent reconfiguration of forces in favor of the initiator of the conflict. In simple terms, active participants will seek to find the "weak link" and replace it with another equivalent, but own protege. This process will be accompanied by an appeal to the author of the design, forcing him to adjust the script. 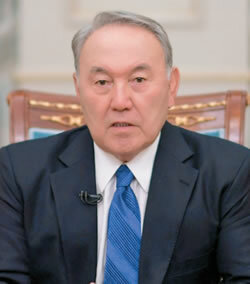 At the same time, Nazarbayev himself will test the effectiveness of the selected characters, assessing them on such mutually exclusive qualities as independence, initiative and political will, on the one hand, and diplomacy, a tendency to compromise and the ability to take into account the views of other stakeholders, on the other. Because he is generously endowed by nature with all these qualities and was able to develop them in the course of a rich life path. Based on this, it is obvious that today the main contenders for the presidency are Kasym-Zhomart Tokayev and Dariga Nazarbayeva. Precisely in this sequence. Samat Abish, Karim Massimov and, least of all, Askar Mamin, can be considered as backup options. These are candidates for the opening lap, outside of which there are also reserve figures. All the details of the initiated transit – from persons to the selected start date – indicate an adequate assessment of all these risks by Nursultan Nazarbayev. The implementation of the first stage on the eve of the national holiday of Nauryz and the long weekend allows to avoid overreaction and to provide the population with the opportunity to perceive changes more meaningfully and without emotional coloring by the new weekdays. It is the first assessment of the reaction fixed after the holidays that should become the basis for choosing a further scenario. at first glance, he is the closest to the presidency, because at the moment he holds the position of a not elected, but the appointed President. This is enough not only to feel the taste of power, but also to strengthen the position, increasing influence in public administration, to establish relations with the business environment and financial groups, to enlist the support of international circles, and with productive work to gain popularity among the population. All these tasks are achievable in a relatively short period. 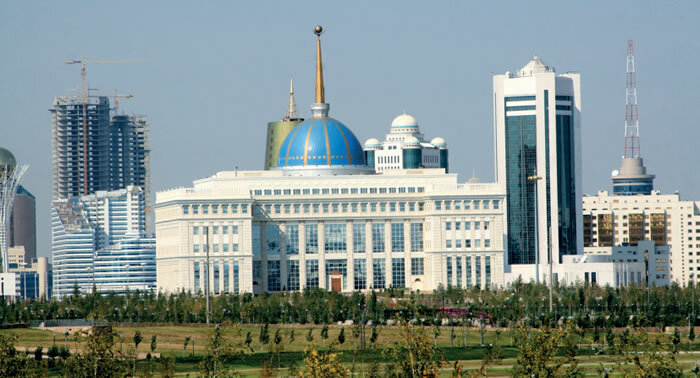 The only obstacle is provided by the census of Clause 2 of Article 41 of the Constitution of the Republic of Kazakhstan clearly limiting that a person residing on the territory of the country for the last 15 years may be elected the President of Kazakhstan. While Tokayev from March 2011 to October 2013 lived in Geneva in the status of Deputy Secretary General of the United Nations. Meaning that he lives in the country for only 6 incomplete years. It is evident that in the absence of appropriate amendments to the Constitution Tokayev's chances of getting on the ballot are minimized. However, this does not mean that at some point Elbasy or members of Parliament do not initiate the relevant amendments to the Constitution, thereby adjusting the rule that prevents Mr. Tokayev from being registered as a presidential candidate. But until then, we can not consider this figure in the circle of potential participants in the election race. Following this logic, it can be assumed that the current designated President is initially assigned a transitional role to ensure the painless and procedural purity of the multi-stage transit process. In this format, the existence of the above rule is an exhaustive guarantee of his non-participation in the next elections and, accordingly, full compliance with the backstage agreements. The same serves as immunity for Tokayev from potential attacks of partners in a transit design and applicants for a presidential post as in the current conditions he is not a competitor by definition.